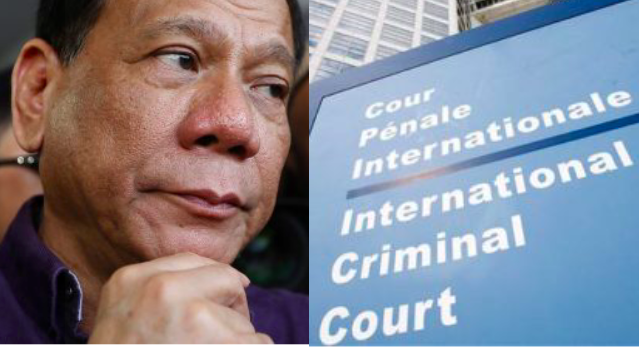 A defiant President Duterte has said the International Criminal Court (ICC) would “not in a million years” have jurisdiction to indict him. The president is the subject of a Philippine lawyer’s complaint to the ICC accusing him of making killing “best practice” in his war on drugs. The ICC confirmed last month that it had started a preliminary examination to establish whether it had jurisdiction, and if any crimes against humanity had been committed. “You cannot acquire jurisdiction over me, not in a million years,” Duterte said in a speech late yesterday (Tuesday, March 6). In typical fashion, the president has previously branded the ICC “useless” and “hypocritical”. Although he says he would be open to investigation by the United Nations or the ICC, he recently told security forces that they should not cooperate with them. The ICC is a court of last resort — it only steps in when a country’s government is found to be unwilling or unable to do so. Presidential spokesman Harry Roque predicted that the ICC would discover it had no jurisdiction in the Philippines and would find no crimes to investigate. “Because Philippine courts are able and willing, the International Criminal Court has no jurisdiction,” he said. He also said the campaign had a legitimate, counter-narcotics purpose and was “an official exercise of the police powers of the state”. The government denies allegations that low-level drug dealers and users are systematically targeted for execution. Police say they have killed about 4,100 drug dealers in shootouts, but have no ties to unidentified assassins who have executed hundreds of drug users. The president has also suggested that the Philippines’ ICC membership might be invalid on a domestic level, because its 2011 accession to the ICC’s Rome Statute was not announced in the country’s official gazette. 1) Duterte doesn’t deny doing crimes against humanity — he has bragged often about doing them — he only denies that the ICC has authority over him. 2) Duterte promised to cooperate with investigations, but the UN, the ICC, and every inquiring Philippine person or agency is met with stonewalling and/or harassment. 3) Philippine courts are NOT “able and willing” because they operate in fear of being shut down or impeached. 4) It’s NOT a “war on drugs.” It’s a war on the poor. Rich drug lord suspects routinely get released from custody, while 13,000 poor suspects get murdered on the streets. 5) “No ties”? The president as well as Bato have frequently asked the public to murder suspects.